Create a Service Catalog for you organization's IT services to ensure proper categorization and routing. Using the Respond Now button provides vital report data for how quickly analysts are responding to incidents. This information can help determine any resource challenges and if the priority needs to be increased. Urgency and Impact may be selected for an accurate assignment of an incident’s priority. The Urgency and Impact Matrix may be de-activated if not required within your organization. 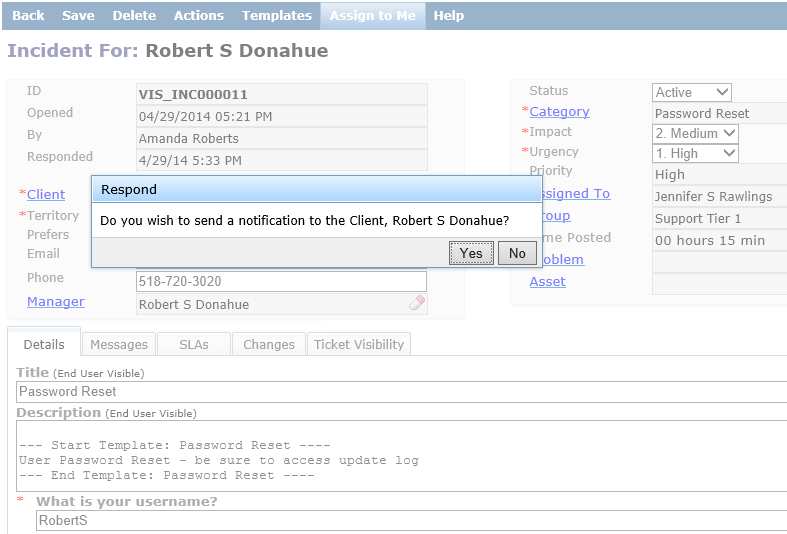 Initiate or reply to emails pertaining to an incident from within your Notes® mail or within the Incident ticket. 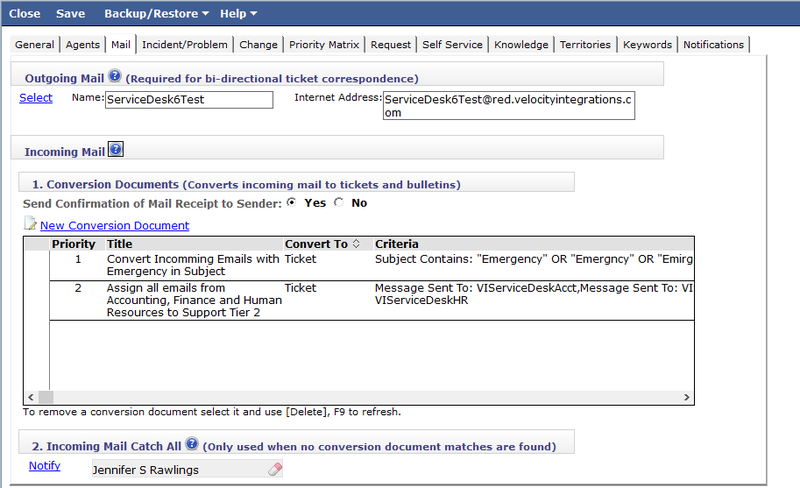 All related email correspondence is automatically stored under the Messages tab of the incident ticket. 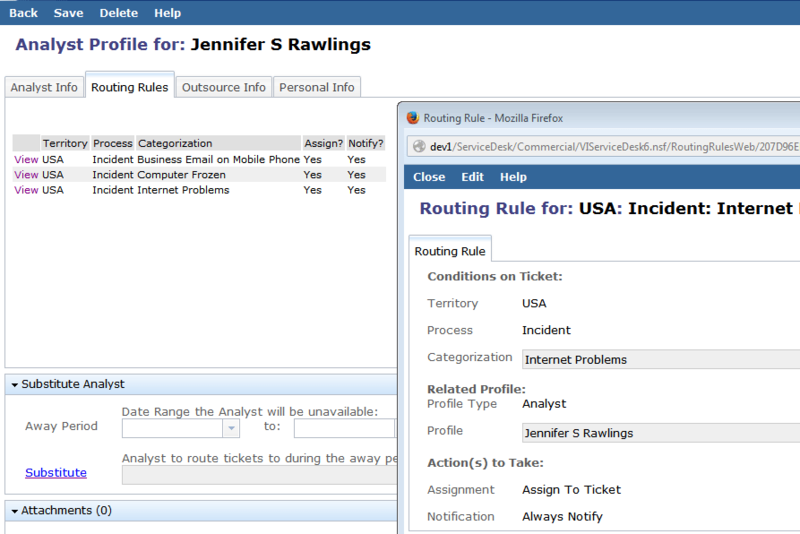 Create routing rules to assign and notify the proper resources of new incidents. 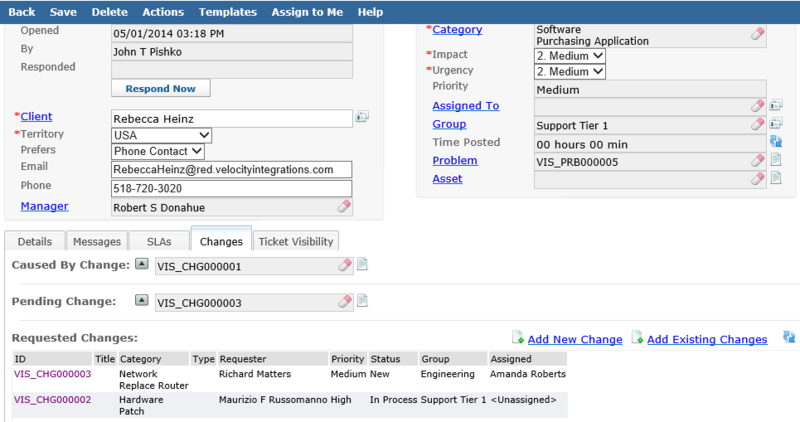 Users can send emails directly to the VI Service Desk for automatic creation and assignment of tickets based on predefined criteria such as email ‘from’ or ‘to’ address, domain, and subject name. 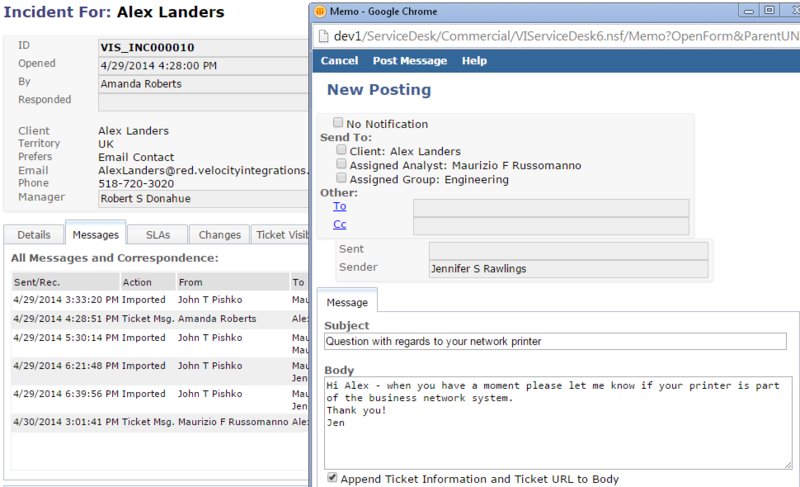 A variety of Mail Conversion documents can be created to handle Incident, Request, and Change tickets. 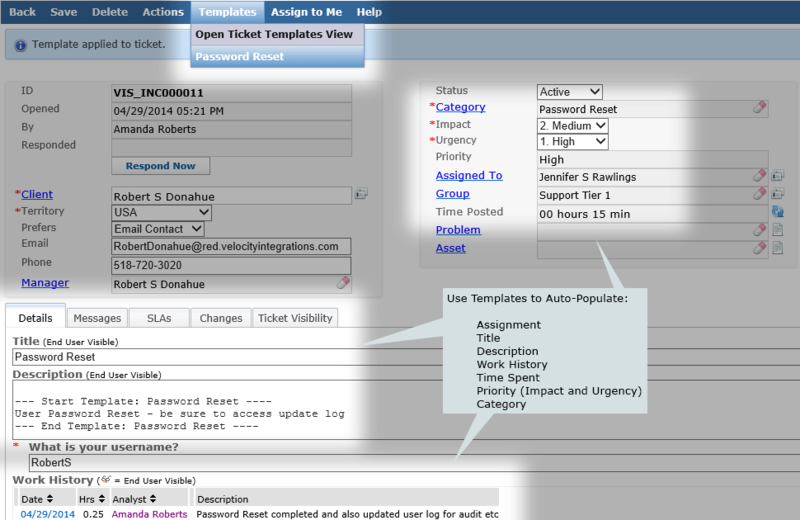 Each type of ticket can contain predefined Assignment/Routing, Categorization, Priority, Asset (CI), and much more. Each Analyst/Manager may enter his or her own personal work history specifying details of work performed and actual time spent. This information is vital when comparing actual time spent and total time a ticket was open during the resolution process. 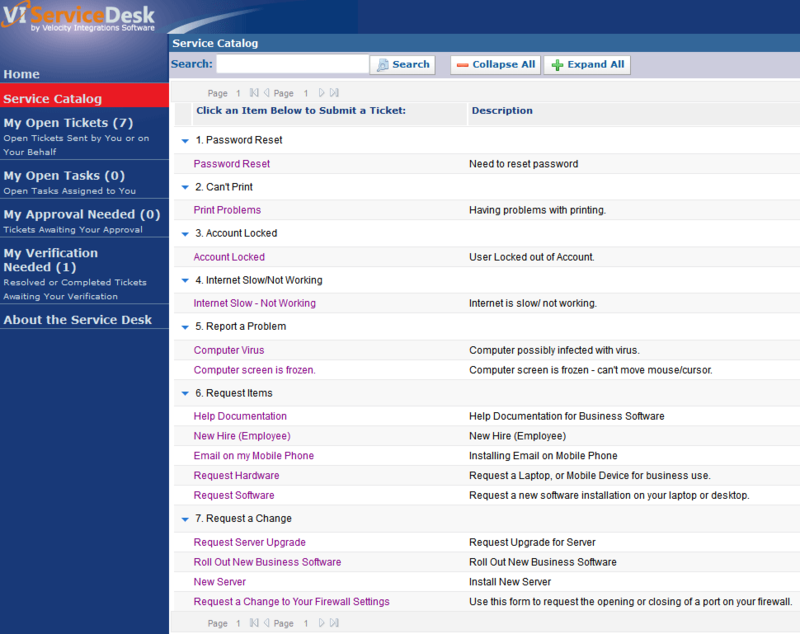 Each incident ticket contains a complete Audit Trail of all major events occurring on the ticket. Knowledge documents can be configured to automatically display on incidents with matching categorization(s). Bulletins allow for easy distribution of important information to your end users, analysts, specific groups/departments, or the entire company. Bulletins are sent as an email in addition to appearing in the End User and Analyst Home Portals. 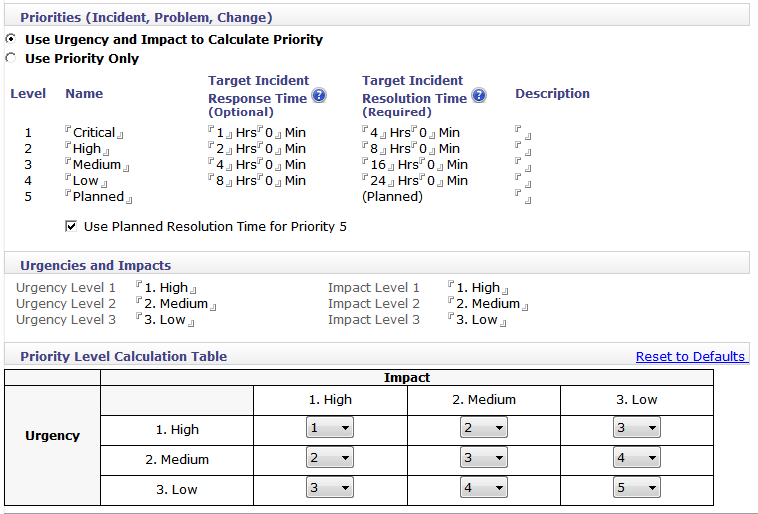 Functionally escalate an incident to another Group or Analyst for more skilled assessment and resolution. 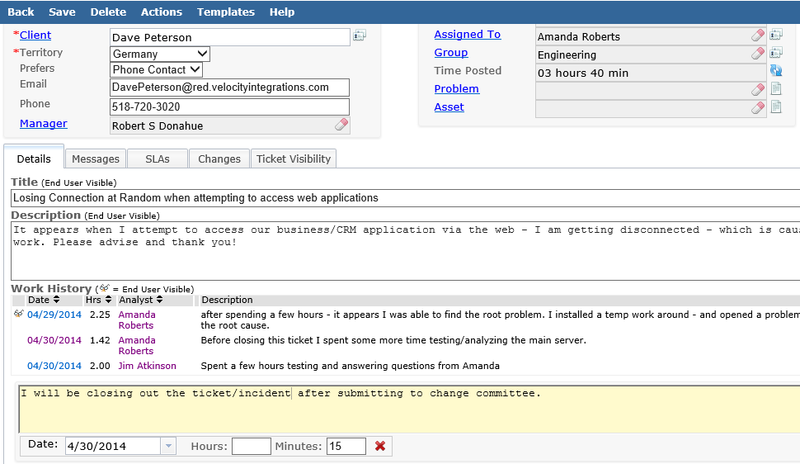 Create a Problem Ticket to properly solve the underlying root cause of a group of related incidents. Multiple incidents may be associated with a problem ticket for resolution and notification to all affected users when the root problem has been solved. 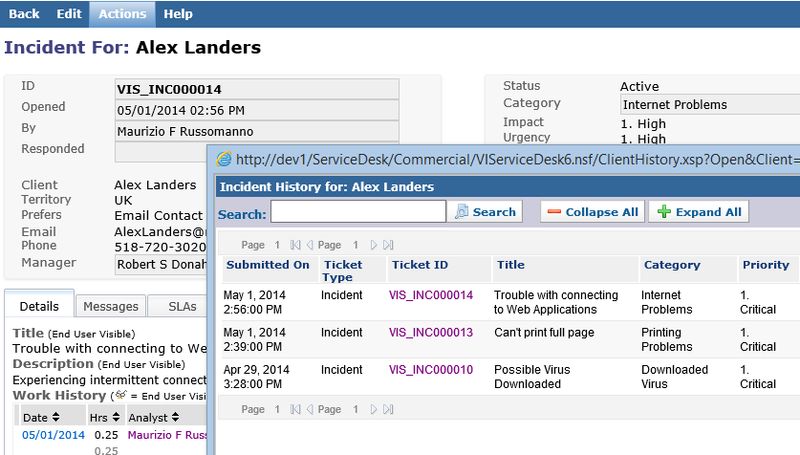 Quickly look up a user's ticket history to see past incidents and view currently open incidents. 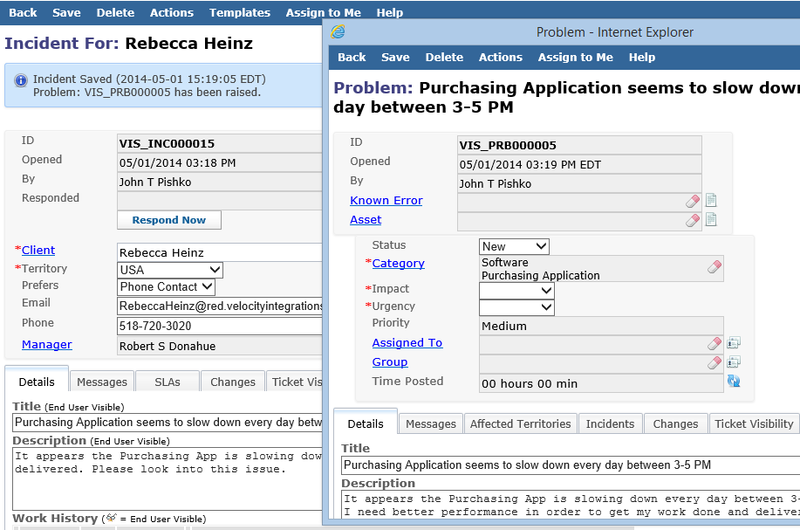 If an incident is caused by a change or pending a change these change tickets can be linked to the incident. 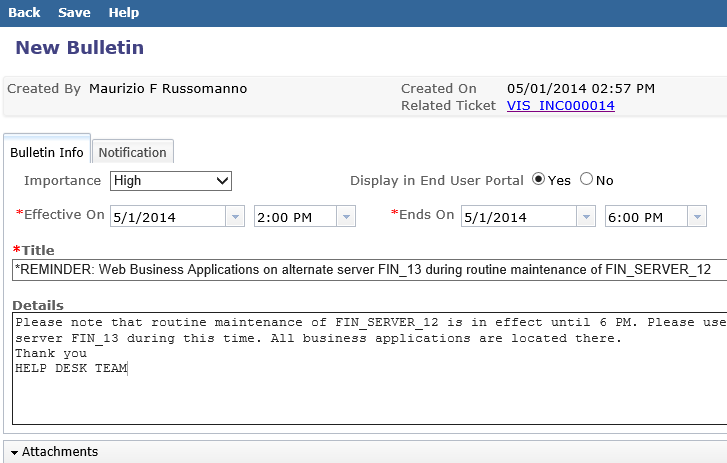 New change tickets can be created from the incident ticket when an incident requries one or more changes for resolution. Upon resolving an incident an Analyst/Technican may choose to add the incident to the Knowledge Base, send a survey to the client, specify a closure category, and specify closure notes. Resolved incident are automatically sent for approval from the client/end user. 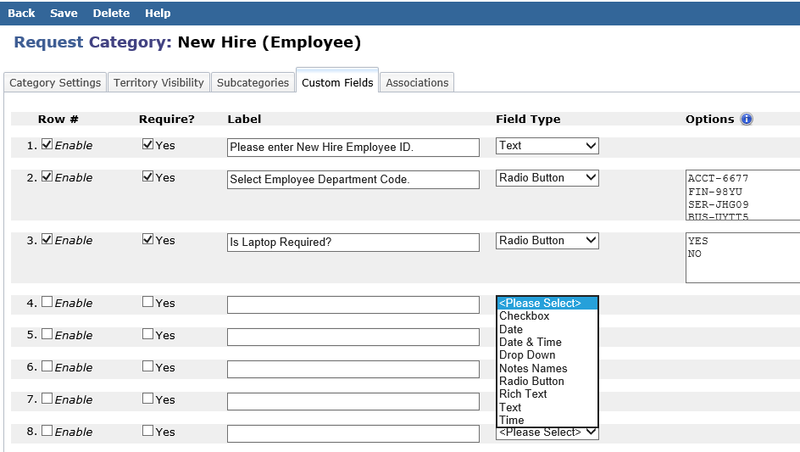 Once the client/end user approves the incident a survey will be automatically sent and the incident details will be added to the knowledge base.